That said, let’s dive on in. 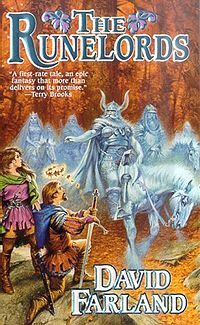 David Farland’s Runelords series occupies an interesting spot in the fantasy canon, especially for me. Perhaps because of the timing of my introduction to it, and perhaps because of the cover art, but I always thought of Runelords as a more traditional series. Like, The Wheel of Time, Runelords had cover art for most of the books done by the legendary Darryl K. Sweet. Indeed, it was that cover art that led me to buy the first book, The Sum of All Men, in a little beachfront bookstore on vacation in Hawaii when I was 12. I saw something that looked like The Wheel of Time and jumped on it with both feet. I’m glad I did. Farland’s a talented writer, but he truly excels at giving depth to things that normally get glossed over in fantasy. There are two main magic systems, for lack of a better term, in Runelords. The first is a pretty standard elemental magic: you’ve got magic-users who can perform magic based around earth, air, fire, and water. There are some interesting applications here, but the genius in this series lies with the other magic system. In this world, people can grant endowments—physical or mental attributes—to other people. Those who have acquired such endowments are called Runelords, and tend to be nobles or soldiers. After all, a warrior with the strength of five men and the stamina of three is going to be tough to fight on a battlefield. Farland could have left the magic there and made the series somewhat interesting. Instead, he dug deeper, exploring ethical, moral, and even economic implications behind such a system. When an endowment is given to a Runelord, it’s transferred. Thus, if a Runelord wants the sight of two men, his Dedicate will be left blind, and the endowment only works for the Runelord while the Dedicate is living. The result is tremendous expense given to keep Dedicates alive. The giving of endowments like grace (the ability to relax muscles), brawn (the ability to flex them), and stamina leaves such Dedicates in extremely fragile states. A Dedicate who gave stamina, for instance, is susceptible to disease. On top of that, Runelords are almost unstoppable in battle, except by other similarly powered Runelords. Instead of facing them down on the field, strategy has evolved to focus on assassins, who try to break into Dedicates’ Keeps and kill the helpless Dedicates, weakening Runelords out on the field. It’s a fascinating look at all of the implications of magic. 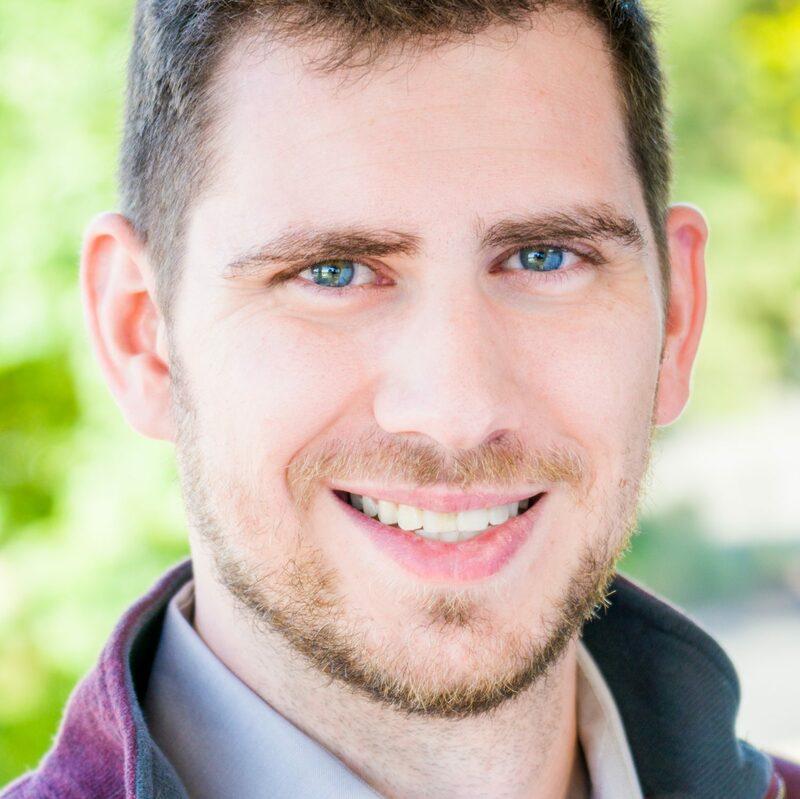 While entire series will run nine books, it’s really split into two: the first four books comprise the Earth King series, and the next four (and forthcoming fifth) comprise the Scions of the Earth series. The first four are where Farland’s story and world work the best. Harry Potter may be aimed at a younger audience than the rest of the series here, but it is without a doubt one of the most influential series of the last 30 years. Sure, Rowling’s writing is a bit elementary during the first few books, but it improves as the series goes on. Her worldbuilding is excellent (despite post-publishing missteps), the characters are undeniably vibrant, and the plotting is, for the most part, tight. Most impressive, however, is the pacing of these books. There truly isn’t much wasted space, even in the 800-plus-page The Order of the Phoenix. They are eminently re-readable, buzzing along at a healthy speed and filled with moments of thrills, sadness, and exuberance. The only completed series in Sanderson’s Cosmere deserves a place in this list. While many of the series that I have ranked higher are there because of incredible prose or vibrant characters, Sanderson’s strength lies in his worldbuilding. Scadrial is perhaps the most “traditional” of the worlds in the Cosmere, with the typical medieval tech and armies of high fantasy. But Sanderson’s world around that is unique, with the mists and the ashmounts—and the Metallic Arts. The three main types of magic used in Mistborn revolve around the use of metals to fuel (or steal) magic, with an intricate, logical grounding. Mysteries are explored and revelations abound, remaining satisfying and surprising despite how logical they are. While the second book, The Well of Ascension, suffers from pacing issues and a lackluster conflict through the first two-thirds, its final third and climax are truly outstanding work—some of Sanderson’s best. The Hero of Ages presents the kind of bombastic conclusion hoped for, with twists, surprises, and a beautiful, bittersweet ending. 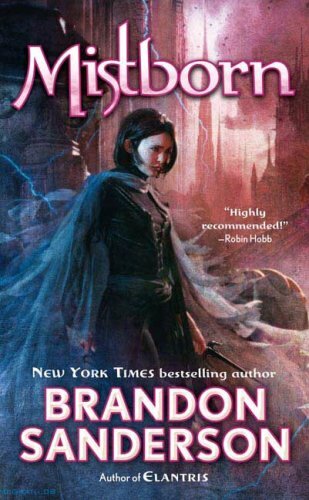 By all accounts, Era 2 of Mistborn is even better, but that review will have to wait for the release of The Lost Metal, expected sometime in late 2019. This may be a somewhat controversial pick; it may not. Either way, Tolkien’s famed trilogy holds a special place in my heart. Lord of the Rings is not the best-paced story, nor the most intricate, but it does several things extraordinarily well. The way Tolkien handles tropes is straightforward but meaningful: Samwise Gamgee, for instance, truly is the hero of the story. It’s not Aragorn or Legolas or Gimli, of course, but neither is it Frodo. Samwise is the ultimate sidekick, because at the root of the story, he’s not a sidekick. Not many writers can craft something so smooth, foreboding, and powerful. Similar scenes between Eowyn and the Witch King, and between Aragorn and the Mouth of Sauron, stand out. The Silmarillion technically doesn’t belong here, but I must note that it is also a tremendous bit of storytelling in a different style. The tales in the Quenta Silmarillion vary from exciting to romantic to outright heartrending (looking at you, Túrin Turambar…). I struggled with whether or not to split these into two series, since they really do follow two separate (but intertwined) stories. In the end, I felt that the way Card has written in new novels since completing the main quartets shows he considers them more connected. Ender’s Game is certainly one of the most popular science fiction novels ever written, and for good reason. It resonates with younger audiences, while exploring themes and morality suitable for any adult. The subsequent Ender books carry forward that more adult-oriented focus. Speaker for the Dead remains the single best science fiction book I’ve ever read, and while Xenocide and Children of the Mind do not maintain that lofty standard, they at least give a decent conclusion to the series. Meanwhile, the Bean installments are uniformly excellent. Ender’s Shadow was a brilliant idea, and the way the subsequent Shadow books handle the characters of Peter Wiggin and Petra Arkanian is wonderful. Like The Gap Cycle by Stephen R. Donaldson, Stover’s quartet can get rather gruesome at points. It’s the kind of no-holds-barred adventure story that fantasy often aspires to be, but misses. It’s grimdark, but not for the sake of being grimdark. Starting with Heroes Die, Stover’s series blends science fiction and fantasy: in the far-future of Earth, the world finds its entertainment in the recorded Adventures of Actors, sent by inter-dimensional technology to a fantasy world called Overworld, inhabited by elves and dragons, wizards and ogrilloi. As the series goes on, it becomes clear that the fates of Overworld and Earth are more intertwined than people believed, and Hari Michaelson, a.k.a. Caine, is at the center of it all. The characters are truly what shine in Stover’s series. His prose is excellent, riddled with fight scenes and one-liners to make any reader laugh, but the most impressive part is how he molds a wide cast of characters. Caine is, of course, the focus. However, his estranged wife Shanna (or Pallas Ril, as she’s known on Overworld) is a deeply interesting woman with psychological depths rarely explored in other series. The main antagonists are at turns pure evil and startlingly sympathetic. Arturo Kollberg, Hari’s boss on Earth, undergoes one of the most shocking transformations you can imagine. Ma’elKoth, the god-emperor of Ankhana on Overworld, is ruthless yet tender. Most of all, The Acts of Caine is an ambitious series. Heroes Die is a near-perfect adventure novel, with sublime pace and a cathartic climax. 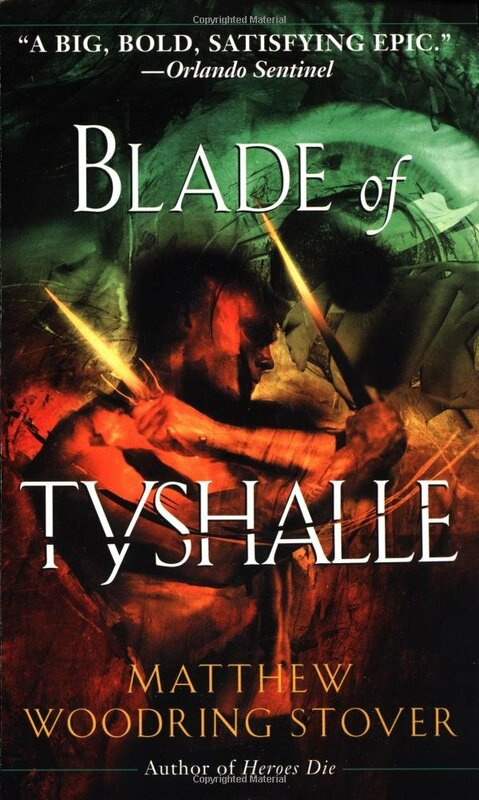 The Blade of Tyshalle follows up Heroes Die as a flawed masterpiece. In Blade, Stover plays with mythology and legend while taking the old authors’ maxim (“think of the worst thing you can do to your protagonist, and then do it”) to 11. It is in this book that we see the darkest depths of characters; it is also here where we see hope shine the brightest. The third book, Caine Black Knife, is an unadulterated love letter from Stover to Caine, covering his most famous Adventure. The final book, Caine’s Law, is a runaway roller coaster, full of bombastic twists and mind-boggling revelations. The Acts of Caine is, at heart, an adventure story—but one with all the trappings of high literature already in place. Donaldson’s Gap Cycle is my highest-ranked pure sci-fi series. This is the peak of space opera, as far as I’m concerned. Donaldson’s clever introduction explodes in the second installment, Forbidden Knowledge. From here, the series just gets more intense, more tightly woven, and develops ever-bigger stakes. The Gap Cycle is, in fact, probably the only series I’ve ever read where each book is demonstrably better than the last. The final book, This Day All Gods Die, was a white-knuckle thriller from page one to the epilogue—and it has one of the most incredible titles I’ve ever seen. This series has one major knock, and that’s the subject matter. The first two books especially deal with graphic violence, of both sexual and psychological natures. It can get pretty tough to read at points. Despite that, it’s an incredible story, well-written, with some of the most complex and layered characters in science fiction. Gene Wolfe is probably the most decorated, celebrated, and accomplished SFF writer that nobody’s ever heard of. Wolfe’s four-part Book of the New Sun is a monumental literary accomplishment. His use of symbolism, metaphor, an unreliable narrator, and constant foreshadowing beggars anything that Robert Jordan or George R.R. Martin ever did. Wolfe’s story is compelling, but unorthodox. The pacing of the series—especially in the first two books—is strange, as the narrative meanders about, touching on seemingly inconsequential events and glossing over (or leaving out entirely) big action scenes. But the action and adventure isn’t the point. Wolfe’s writing is so rich and his storytelling so involved that he grips the reader and pulls you along in a riptide of language and mystery. The Book of the New Sun is a challenging read, to be sure. Archaic language abounds, and layered storytelling forces the reader to pay attention, smarten up, and read more critically. How glorious are they, the immovable idols of Urth, carved with unaccountable tools in a time inconceivably ancient, still lifting above the rim of the world grim heads crowned with mitres, tiaras, and diadems spangled with snow, heads whose eyes are as large as towns, figures whose shoulders are wrapped in forests. Who else would describe mountains like that? Who else would turn such an everyday writing opportunity into lyrical, evocative imagery? I think it says a lot that, after I finished Citadel of the Autarch, I couldn’t make myself read any other authors for almost two months. Everything just felt bland after the richness of Book of the New Sun. Glen Cook is a lesser-known name, but his mark on fantasy is everywhere. His knack for approaching the grittier, more down-to-earth aspects of fantasy inspired the grimdark genre. 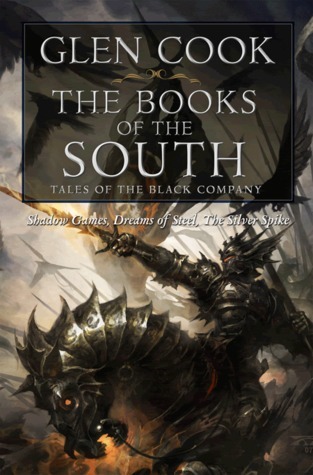 The Black Company itself eschews the deep worldbuilding of Jordan or Martin or Sanderson, instead concentrating on the day-to-day stories of soldiers in the mercenary Black Company. Tropes are twisted on their heads, humor abounds, and settings move from standard European fare to vibrant Middle Eastern analogues and beyond. The Black Company is a rollicking good time, interspersed with creepy demons and eldritch castles, mad wizards and the horrifying conditions of besieged cities. This series features some of my favorite characters. Whether it’s the snarky Croaker, brooding Murgen, competent Sleepy, or irrepressible Voroshk girls, there’s a wide and diverse cast. Not only that, but the emotional impact built up over the course of ten books leaves the reader stunned at the end of Soldiers Live. I almost feel bad about how little there is to say in this section. When it comes down to it, I can’t do justice to this series in a list review. The meat, the immersion, the pure reality of reading Robert Jordan’s magnum opus is something that must be experienced to be understood. The Wheel of Time is one of the preeminent fantasy series of the late 90s/early 2000s. Jordan was an absolute titan of fantasy, with his books selling upwards of 80 million copies, according to some sources. Jordan took Tolkien’s legacy and took it to 11. The series purposely starts in similar fashion, but rapidly comes off the rails and grows into its own monster. The level of worldbuilding is incredible, down to histories and customs, genealogies and magic. The Wheel of Time defined a generation of fantasy. Not only that, but it directly inspired me to be a writer and storyteller. While I think many of the series listed above do things better than WoT, I have a deeply personal connection to Jordan’s world, and can’t in good conscience rank anything above it.